If a neophyte backpacker would ask which country to explore first, most experienced ones would suggest Thailand. Thailand is, as for how their tourism board would describe, amazing in every sense of the word. Accessible flights and cheap holiday packages are just a few of the reasons why people keep on coming back to the country. Additionally, there are a thousand more things to do in Thailand that will make you fall in love with it more. It’s also a lot easier to find an affordable flight ticket to Thailand, nowadays both around Asia or from Europe, Oceania or even from North America and South America, direct flights to Thailand, especially to Bangkok, is possible. Speaking of Bangkok, watch out for these five lies about Bangkok. While if you are worried about accommodation, there are many villas in Thailand to choose from. 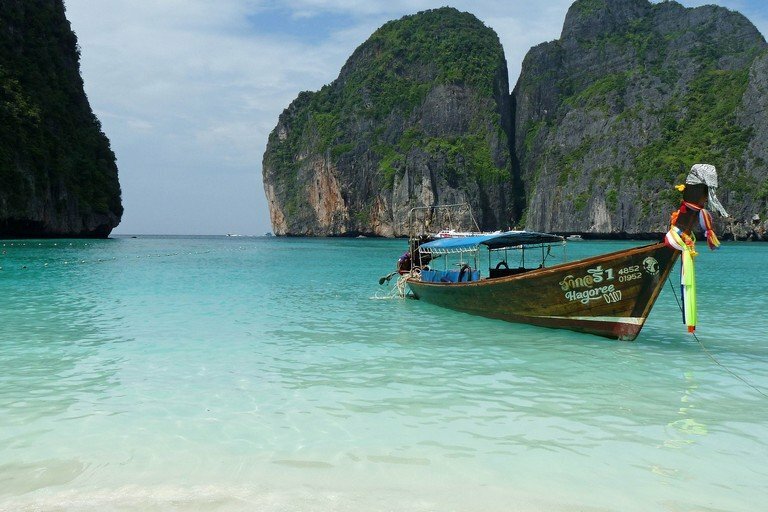 From the mountainous north to the stunning islands, there are plenty of options that will certainly match up your ideal holiday in Thailand. Either with your entire family or a honeymoon, there is nothing to worry. You should also check this first timer guide in Thailand. Thailand, just like most Asian countries, is proud of its religious influences. You do not have to be religious yourself to appreciate the beauty and uniqueness of the many Buddhist temples all over the country. These temples may be intimidating with their extravagant details and exterior, but there is something in them that is inviting and mystical. A Thailand trip would be incomplete without seeing a temple or two. 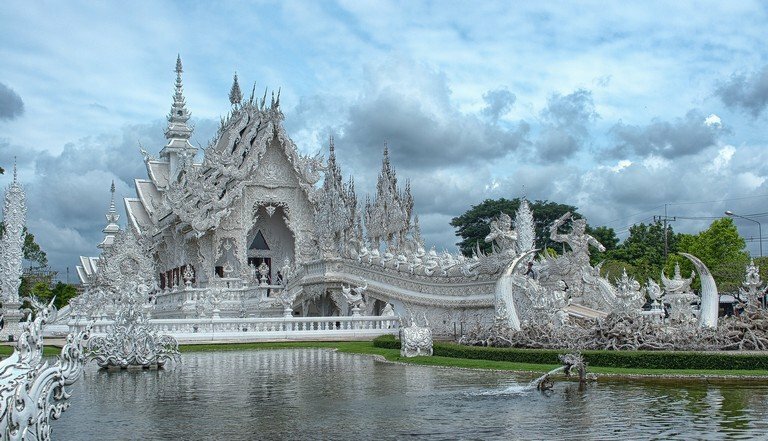 The white temple in Chiang Rai, known as the Wat Rong Khun, is one of the more famous Buddhist temples that tourists go to. With its intricate physique, it looks like something that is straight from a magical movie. Contrastingly, its inside is painted with Batman and Kung Fu Panda art. 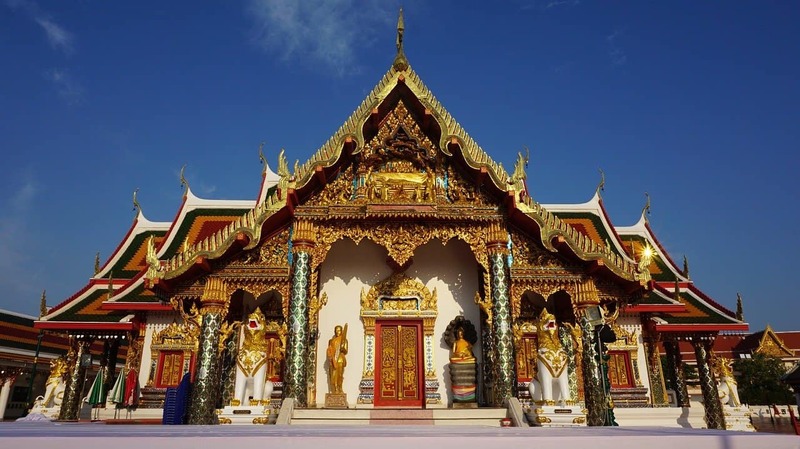 If you love temples and nature, check out these must not miss in Chiang Mai and Chiang Rai. If you’re looking for a transport experience like no other, riding a tuk-tuk should top your list. 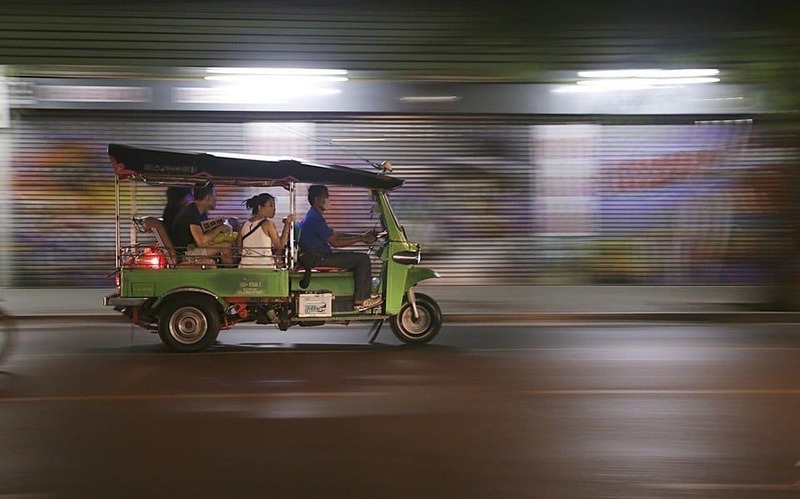 Also called the ‘sam lor’, tuk-tuk is a three-wheeled public vehicle that can take you around the city. While trains and buses have replaced tuk-tuk as the primary transportation around the city, most tourists still give it a go for the experience. Because it's you're not travelling with a style in Bangkok if you don't ride a tuktuk! Thai cuisine is not a stranger to other countries, as there are already tons of Thai restaurants all over the world. Despite this, nothing beats a 100% authentic Thai food experience, where else, but in Thailand. 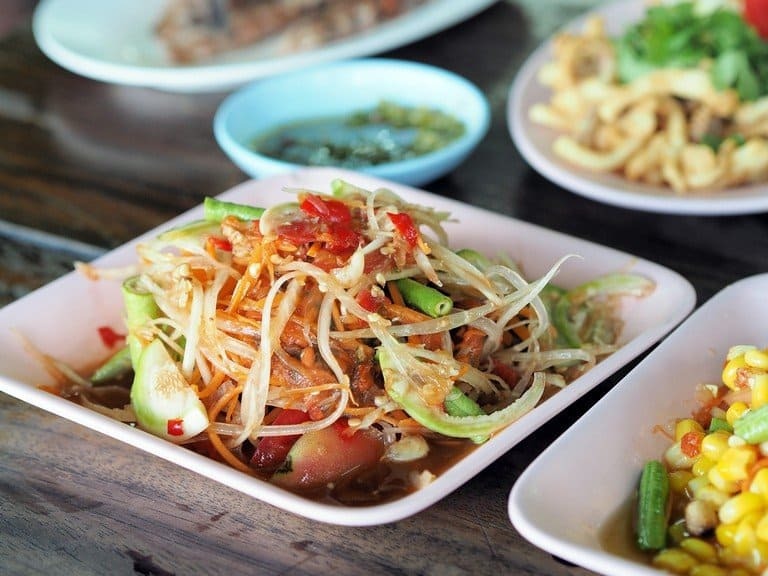 People love Thai food for its distinct spice. For starters, there’s the famous pad thai that everyone likes. I seriously have never met anyone who doesn’t appreciate this Thai noodle dish. They also have coconut-based chicken curry and hundreds of types of shrimp dishes. Tom Yam, a herb-based broth, is also very popular and is perfect for a rainy evening. However, if you are worried about gluten-free food, check out this gluten-free food guide for celiac, don't miss the fun enjoying Thai dishes. You should never miss Thailand’s street food as well. They have a variety of grilled meat, som tam (papaya salad), and phat kaphrao, which is a combination of meat with fried basil that is served over steamed rice and sunny side up egg. You may also check this food guide in Bangkok. Thailand’s has continuously become a top tourist destination since its exposure in the 2000 Leonardo di Caprio film, The Beach. The movie was filmed on the island of Koh Phi Phi, which is located between Phuket and Malacca Strait. Apart from this exquisite island, Thailand boasts of many other beautiful beaches on its coast. Most islands in the provinces of Thailand are unspoiled and serene, with deep blue waters and fine sand that will surely make you one with nature such as Hua Hin beaches. With over 5,000 miles of coastline and hundreds of islands, you sure can find a piece of paradise where you can relax and enjoy a charming view. If you are going to travel around for a bit, check out these other best beaches in Southeast Asia. Maybe exploring one of the beaches in Thailand called Koh Samui. Koh Samui in one of the most popular beaches in Thailand. With its stunning view, magical blue water, fine sand, Koh Samui is definitely a great place for a full-on holiday. There are many villas in Koh Samui that can deliver a luxurious and comfortable accommodation to match your needs. You can check out this guide for things to do in Koh Samui for great ideas to do and see. The beaches in Thailand also automatically give an impression of the best beach parties in Southeast Asia. If you love this idea, check this one-month itinerary of partying in Thailand. Diving in Thailand is also a popular activity in the islands. Many tourists get certified for diving here because it's affordable, better experience, and the diving spots are stunning. While spending most days on the beach can be quite tempting, your Thailand experience won’t be complete without a visit to its jungles and caves. If you’re more of the outdoorsy type, you will undoubtedly enjoy the lush greeneries and diverse wildlife of the mountains in Northern Thailand. 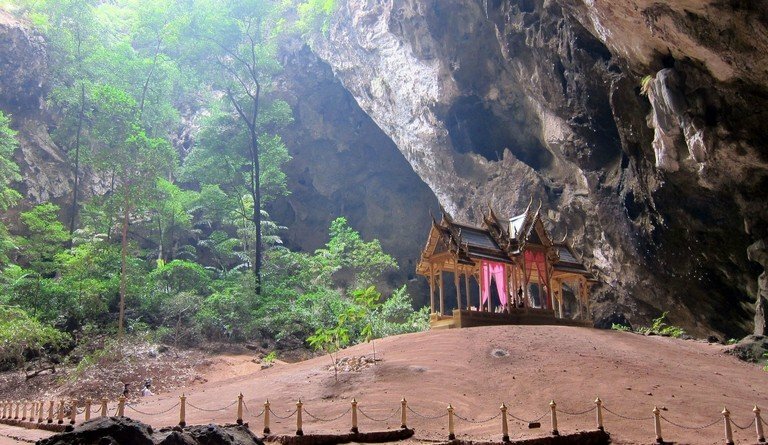 On the other hand, the province of Krabi is famous for its deep caves that satisfy your need for extreme adventures. With so many things to do and experience in Thailand, it is not surprising that it is one of many travellers’ most favourite destinations. 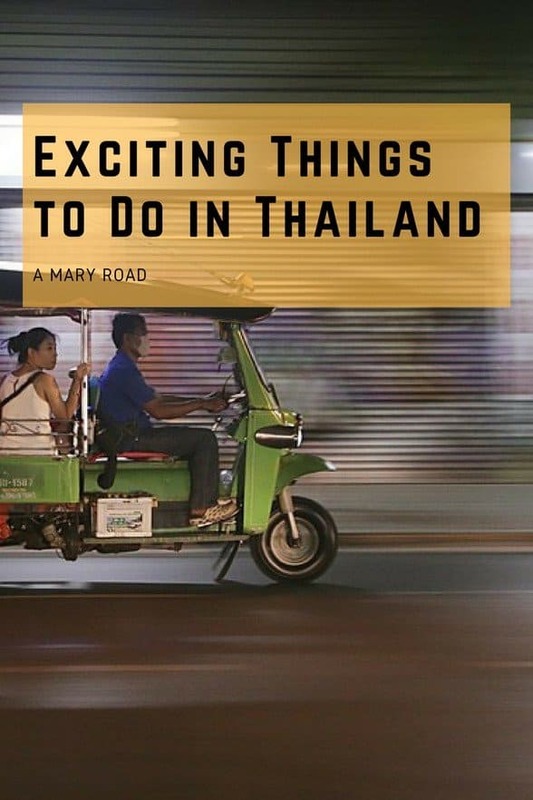 Check out this thorough Thailand itinerary. Whatever activity you enjoy most when travelling, you can delight in its rich cultures, amazing and diverse wildlife, breathtaking beaches, and sumptuous food. So why not start searching for affordable flights to Thailand now?